A former Russian intelligence officer who worked with President Donald Trump’s former top campaign officials Paul Manafort and Rick Gates was communicating with Gates during the 2016 presidential campaign, according to court records filed by Special Counsel Robert Mueller’s office. The connection between Gates and the former intelligence officer, identified only as “Person A” in the records filed late on Tuesday, is significant because criminal charges against Gates and Manafort relate only to their lobbying work for Ukraine prior to the 2016 presidential election and do not delve into their activities during the campaign. Gates pleaded guilty last month to lying to the FBI and conspiring to defraud the United States, and has agreed to cooperate with Mueller’s investigation into Russian meddling in the 2016 election and whether there was any collusion with Moscow by Pres. Trump’s campaign. Manafort, meanwhile, has pleaded not guilty to charges in two indictments filed by Mueller’s office. The charges range from bank fraud and filing false tax returns, to conspiring to defraud the United States, conspiring to launder money and failing to register as a foreign agent when he lobbied for the pro-Russian government of former Ukrainian President Viktor Yanukovych. 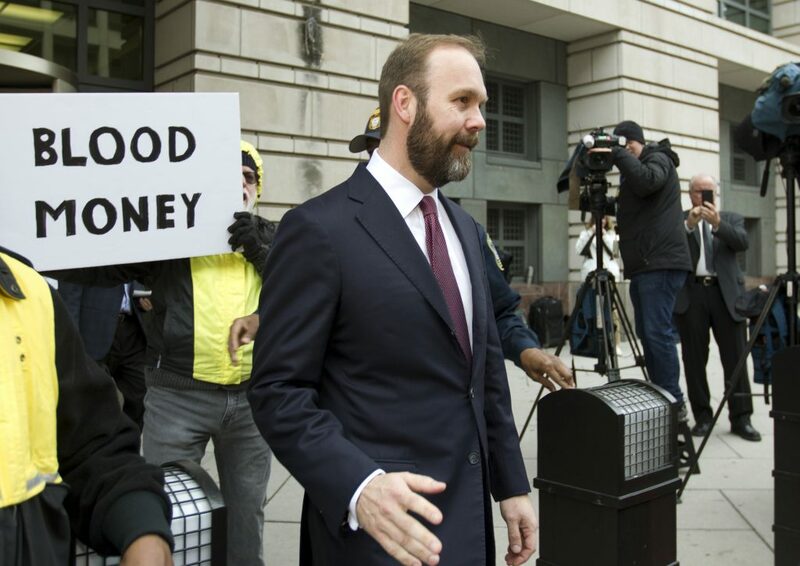 Gates’ alleged communications with the former intelligence officer were revealed in a sentencing document for former Skadden Arps attorney Alex van der Zwaan, who pleaded guilty earlier this year to lying to the FBI and who is due to be sentenced on April 3. In it, prosecutors said that Gates and van der Zwaan were in touch with the ex-Russian intelligence officer, who also worked for Manafort’s lobbying firm in Ukraine, in September and October 2016. The presidential election was in November 2016. They also said that when van der Zwaan was interviewed by the special counsel’s office, he “admitted that he knew” about the Russian connection because Gates had told him about it. A spokesman for Manafort, who is prevented by a court-imposed gag order from talking to the press, declined to comment. The description of Person A in the court records appears to match with Konstantin Kilimnik, a Ukrainian who worked for Manafort. Reuters could not immediately reach him for comment. In the past, he has denied having ties to Russian intelligence services. The Russian government has denied meddling in the 2016 election and Pres. Trump has denied any collusion by his campaign.